Add dried shiitake mushrooms to a small bowl, pour the boiling water over them and let soak. Slice ginger into matchsticks. Slice the fresh shiitake and king oyster mushrooms. Debone the chicken legs and slice the meat into thin pieces. 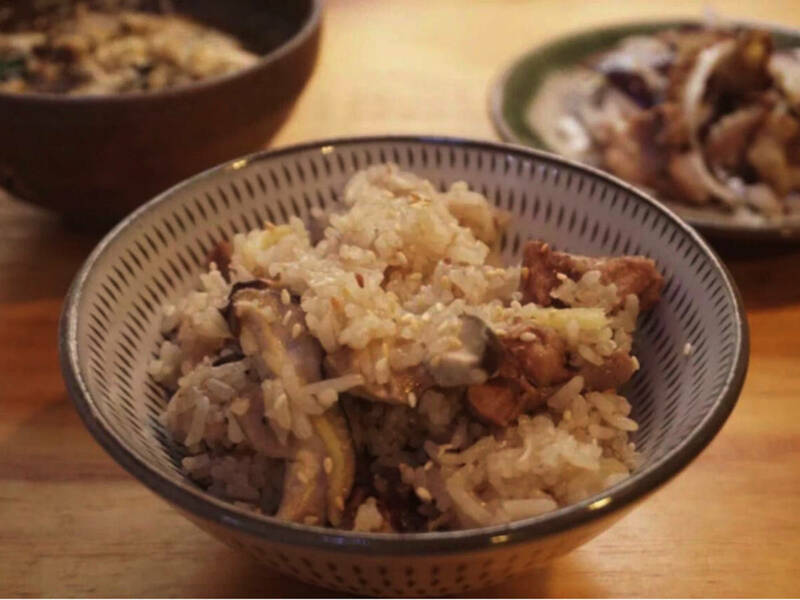 Add jasmine rice and glutinous rice to a rice cooker. Then add the chicken, ginger, and finally the dried shiitake along with their soaking liquid, as well as the sliced fresh shiitake and king oyster mushrooms. Add the soy sauce, chicken stock, Shaoxing wine, and sesame oil to the pot. Set your rice cooker to cook. Serve with extra sesame oil and sesame seeds if desired!